I thought I would introduce Hubby's new pets! 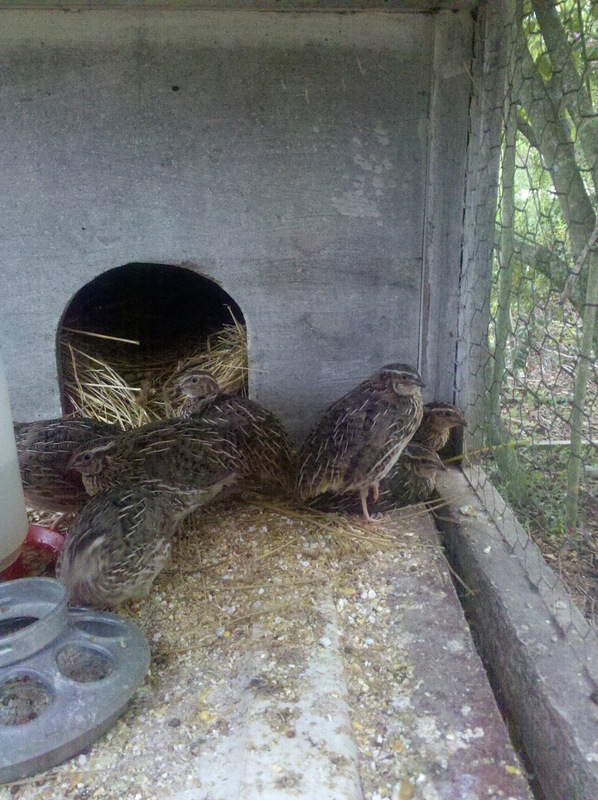 I say they are Hubby's because he was the one begging to have quails! So we got 9 new baby quails! They are eating quite a lot. They are 6 weeks old. The way they are eating, I can't wait to see what they are going to look like in 6 more weeks! They are so adorable. You have one lucky hubby. You, my friend, are an amazing wife!! I'm not so sure I could go along with that request. Hello and thanks so much for supporting me on my SITS day. Quails? Really? Are you going to eat them?